I want to be this guy when I turn 80! 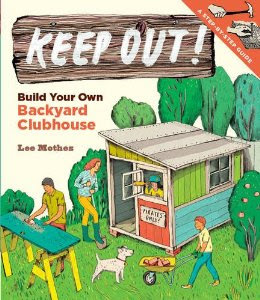 Kids (and grownups) build clubhouses and playhouses because they must - building one's own shelter is still hardwired in our brains. Men and women have built houses for themselves and their families since we moved out of caves, and they still do in many cultures. But in "developed countries" like ours we all grew up and became dependent on buying contractor-built housing along with the 30-year debt to pay for it. But a few people have held on to their dreams of independence and built their own homes, often with recycled materials, and with their own souls imbedded within! 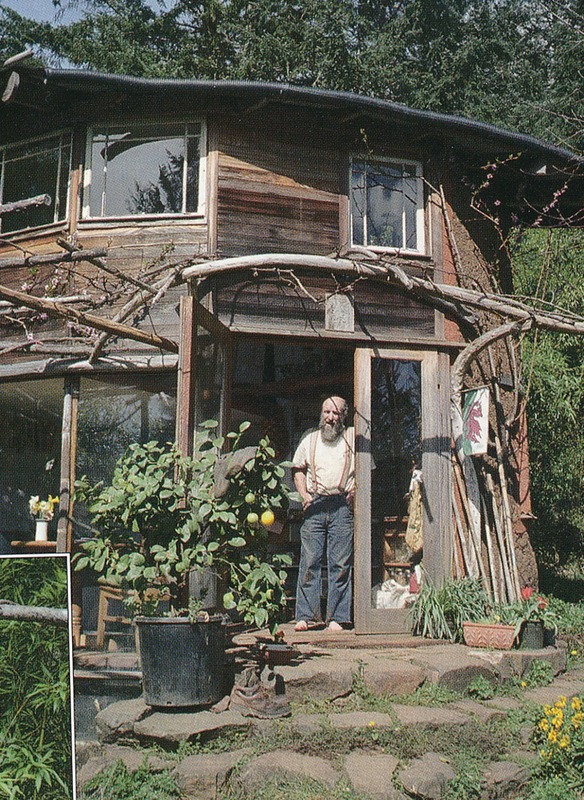 The Counterculture movement of the 1960s and '70s inspired a wave of alternative architecture, often in conflict with local building codes and their enforcers. If more frustrated shelter-builders today knew they could build their own, the world might be better off. Lloyd Kahn has edited many fine books on home-built shelter, beginning with Shelter in 1973, Homework, Handbuilt Shelter in 2004, and 30 other related titles. His newest book, Tiny Homes, Simple Shelter (2012) is a must-read for anyone thinking of building their own humble abode. Lloyd has preserved the many stories of owner-builders all over the world with this and his many other gold-mines of inspiration. To see the books mentioned above and others offered by Shelter Publications, go to their website: http://www.shelterpub.com/.